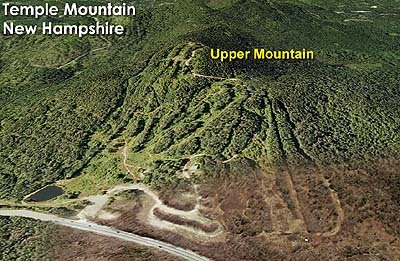 Opened and operated as a rope tow area for two decades, Temple Mountain expanded into what was described as "major area" status in 1958-59 with the installation of a 1,600 foot long STABIL surface lift. The new lift served terrain of all abilities, including the expert Beebe and Currier trails. 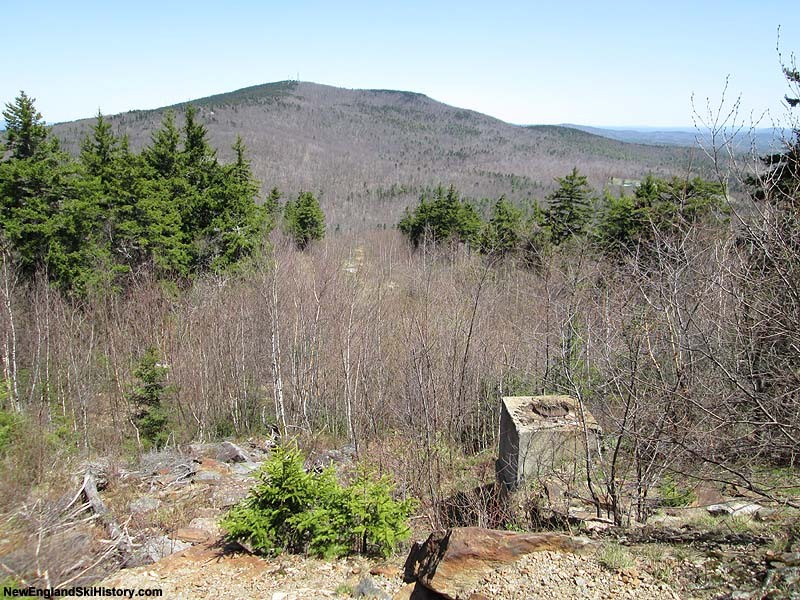 The overall vertical drop of the area at this point was advertised as 350 feet. 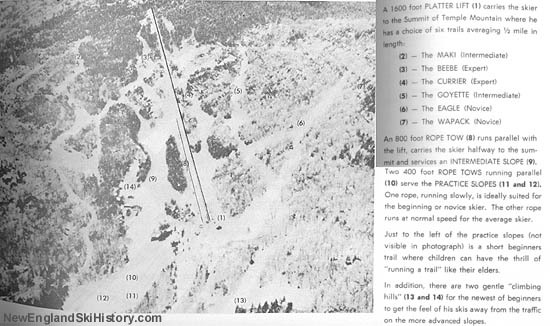 In 1967, the STABIL lift was replaced with a new Alpine T-Bar lift, 1,500 feet long by 313 vertical feet. 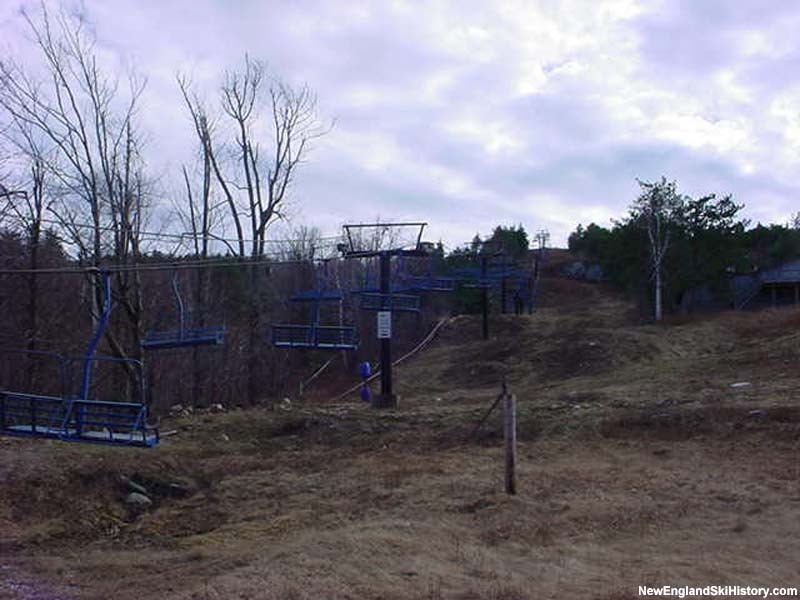 The lift would cease to operate upon the installation of a used Poma double chairlift for the 1992-93 season. 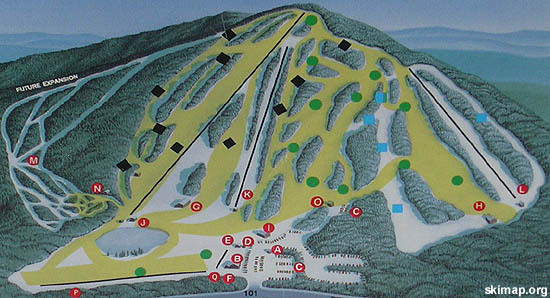 Surpassed by many other areas in its market, the decision to expand Temple into a chairlift served area was made in the 1980s. 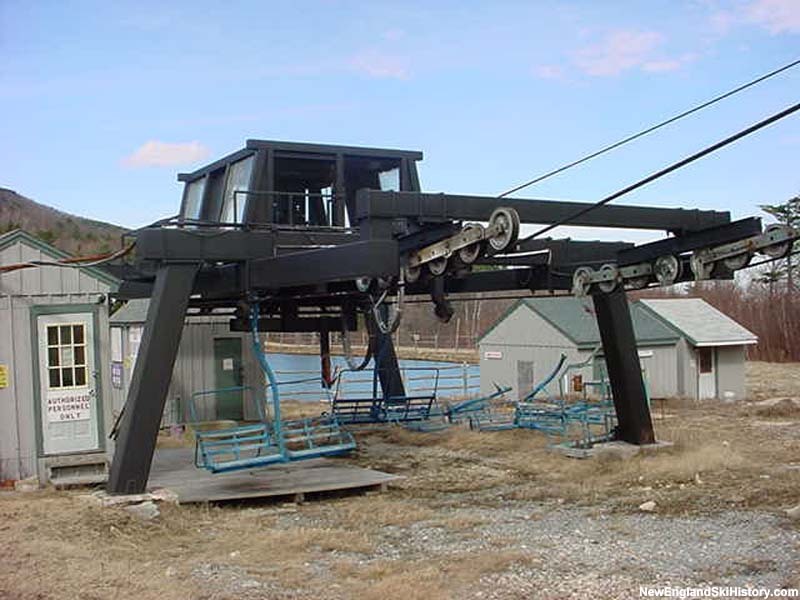 A new centerpole Borvig Quad chairlift, climbing 452 vertical feet over a run of 2,045 feet, was installed in 1984, running from near Route 101A to adjacent the top terminal of the main T-Bar. In choosing this layout, the new lift line cut through existing trails, climbed over ledges, and, most oddly, started well below the main lodge. 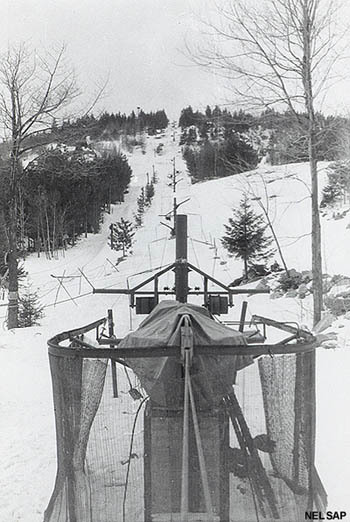 The lift was the first quad in New Hampshire history. After the installation of the new quad, the advertised vertical drop of the ski area was increased to 600 feet. Temple Mountain last operated in 2001. 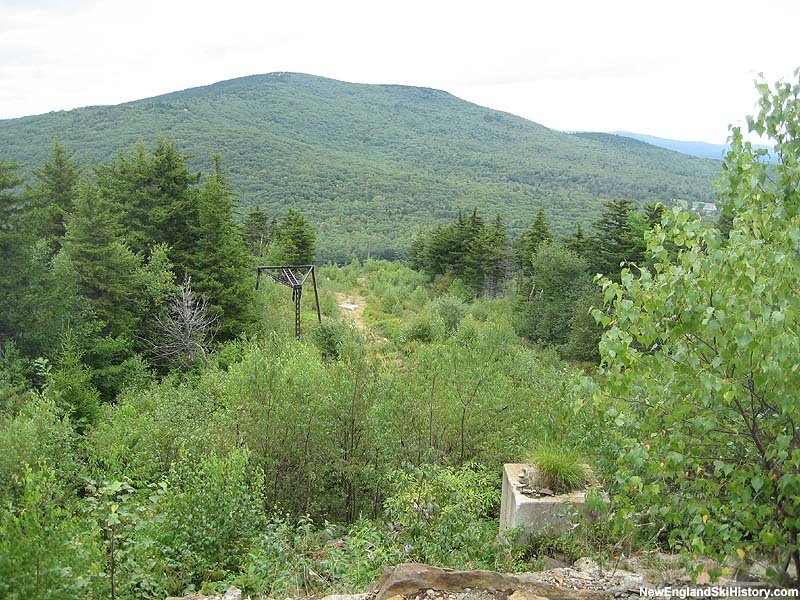 In 2004, the quad was removed and sold to Nashoba Valley, Massachusetts.